Stelmakh, Mykhailo [Стельмах, Михайло; Stel’max, Myxajlo], b 24 May 1912 in Diakivtsi, Letychiv county, Podilia gubernia, d 27 September 1983 in Kyiv. Prose writer, poet, and dramatist; full member of the Academy of Sciences of the Ukrainian SSR from 1978. He graduated from the Vinnytsia Pedagogical Institute (1933) and taught in villages of the Kyiv district until 1939. After the Second World War he worked (1945–53) for the Institute of Fine Arts, Folklore, and Ethnography of the Academy of Sciences of the Ukrainian SSR. 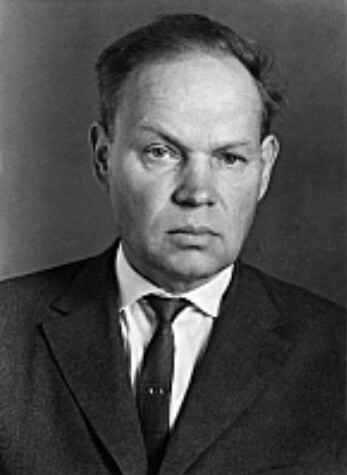 He was a deputy to the Supreme Soviet of the USSR and vice-chairman of the Council of Nationalities. His poetry was first published in 1936. His collections of poetry include Dobryi ranok (Good Morning, 1941), Za iasni zori (For the Bright Stars, 1942), Provesin’ (Early Spring, 1942), Shliakhy svitannia (The Paths of Dawn, 1948), Zhyto syly nabyraiet’sia (The Rye is Growing in Strength, 1954), Poeziï (Poems, 1958), and Mak tsvite (The Poppies Are Blooming, 1968). From the 1940s he wrote mainly prose, such as the short-story collection Berezovyi sik (Birch Sap, 1944); the novel Velyka ridnia (The Large Family), published in two parts as Na nashii zemli (On Our Land, 1949) and Velyki perelohy (Large Fallow Fields, 1951); and the novels Khlib i sil’ (Bread and Salt, 1959), Pravda i kryvda (Truth and Injustice, 1961), Duma pro tebe (A Duma about You, 1969), Chotyry brody (The Four Fords, 1979), Nad Cheremoshem (By the Cheremosh River, 1952), Husy-lebedi letiat’ (The Geese and Swans Are Flying, 1964), and Shchedryi vechir (Eve of Epiphany, 1967). He wrote the plays Zolota metelytsia (The Golden Snowstorm, 1955), Na Ivana Kupala (On Midsummer's Night's Eve, 1966), Zacharovanyi vitriak (The Enchanted Windmill, 1967), and Kum koroliu (The Godfather of the King's Child, 1968). Stelmakh wrote the script for the documentary film Zhyvy Ukraïno! (Long Live Ukraine!, 1958). He also wrote many children's books, mainly in verse: Zhnyva (Harvest, 1951), Kolosok do koloska (Ear of Grain to Ear of Grain, 1951), Zhyvi ohni (Live Fires, 1954), Burundukova sim'ia (The Chipmunk's Family, 1963), Tsapkiv urozhai (The Goat's Harvest, 1967), Lito-liteplo (The Lukewarm Summer, 1969), and others. 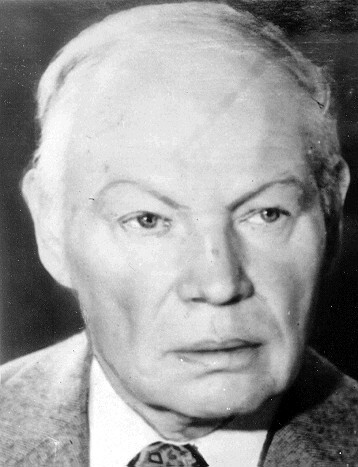 Stelmakh's prose is a typical example of socialist realism. It shows the characteristic conformism to shifting Party policy (eg, the novel Velyka ridnia glorifies Joseph Stalin throughout and was awarded the Stalin prize in 1951; later, criticized for succumbing to the Stalinist ‘personality cult,’ Stelmakh rewrote it under the new title Krov liuds’ka—ne vodytsia [Human Blood Is Not Water, 1957]). The characteristic socialist-realist glossing over of Soviet reality is present in Stelmakh's work even of the post-Stalinist era (eg, the novel Pravda i kryvda). Even Stelmakh's last novel, Chotyry brody, is distorted by the pressure of censorship. Stelmakh's prose is exceptionally rich in its folk lexicon. Stylistically it is reminiscent of Yurii Yanovsky's lyrical prose, with the influence of Oleksander Dovzhenko clearly evident. Stelmakh's adherence to socialist realism, as well as his tendency toward sentimentalism (also characteristic of socialist realism), guaranteed him an upper niche in the literary hierarchy of the Ukrainian SSR. His collected works have been published (6 vols, 1972–3; 7 vols, 1982–3).